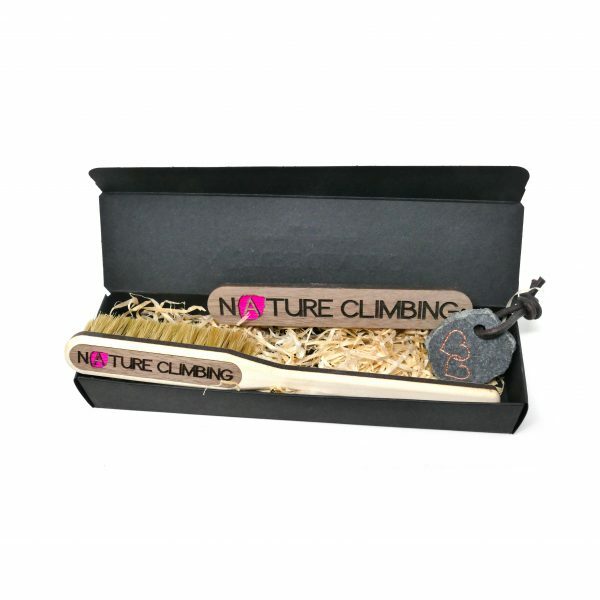 The Nature Climbing Valentine’s Special consists of a big brush, a matching sander and a special hand-engraved and hand-painted key hanger with hearts made of Scandinavian granite. The big brush comes in all our variantions (here in a blue and pink) and is the perfect gift for that special climbing someone. 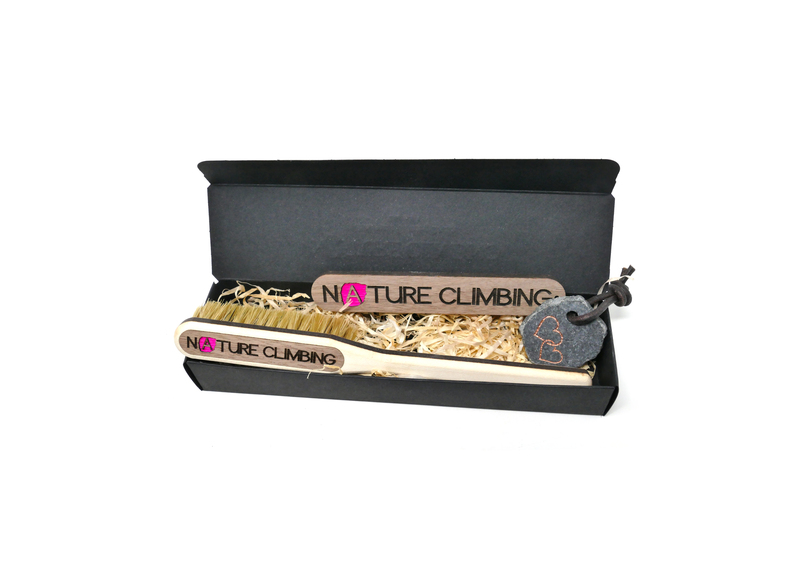 At Nature Climbing we are extremely proud of our 100 % handmade brushes. In our opinion they are the most efficient, and most beautiful, brushes in the world. 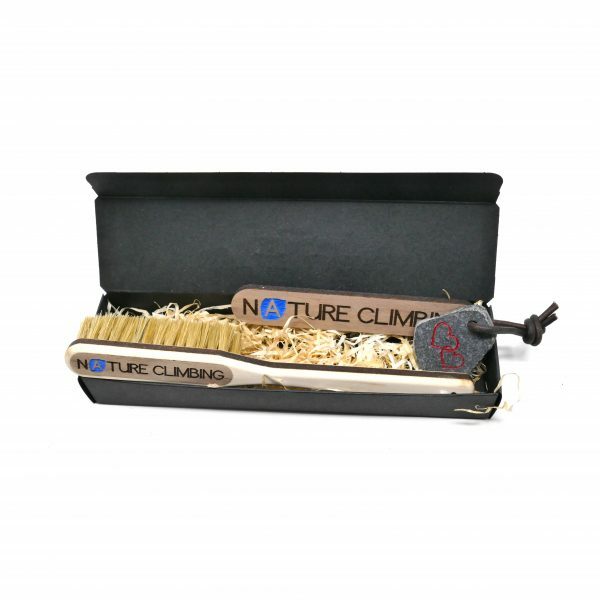 All our Nature Climbing Big Brushes are made of European FSC-certified white maple wood. The sides of the brushes are burnt to make a beautiful contrast between the light wood surface and the dark burnt area on the sides. 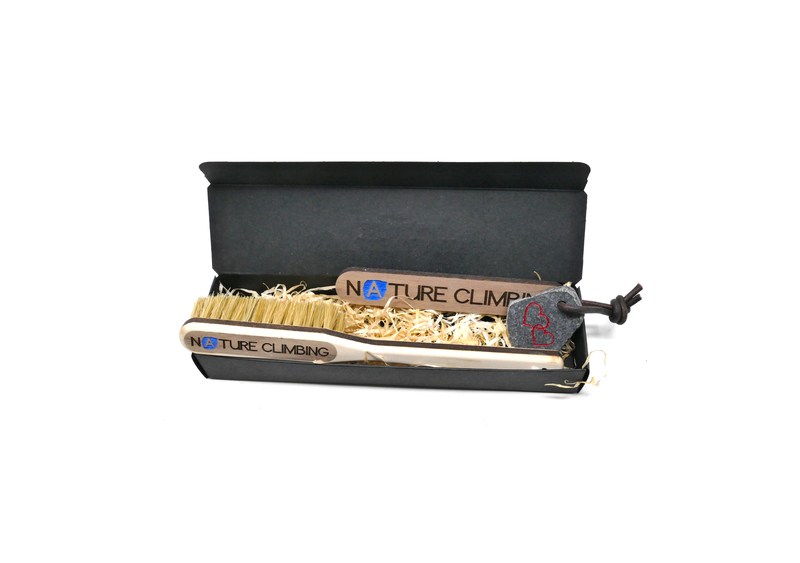 At the back of the brush we attach a piece of walnut wood or granite (+€25 incl. VAT) with an engraved logo. The hand-selected 70 mm long boar’s bristles of the highest quality are attached by looping separate bundles through the backside of the brush by hand and attached very close together. Finally, the bristles are cut 19 mm long, to create a smooth and effective brushing experience. All bristles are attached by hand, which ensures superior quality and durability. All the bristles are attached by blind brush masters in close cooperation with the blind organisation “Blindes Arbejde” in Denmark. The brushes, sanders and key hangers are all 100% handmade in Denmark. We do spectacular custom made engravings on all our big brushes (+€12,5 incl. VAT).